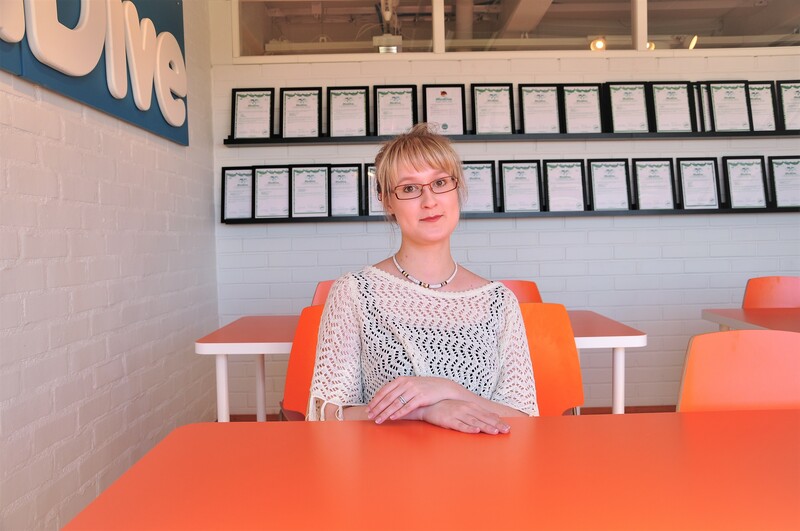 Sanni Hakkarainen, teacher of English and French from the Classical High School of Tampere, participated in a WordDive pilot project where she could use WordDive to support her teaching this spring. She used WordDive as a part of the teaching materials for the second, third and seventh English courses as well as for remedial classes. – Using WordDive didn’t affect the grade, so utilization of the app varied a lot. Some of the students got really excited while others used it only for a few minutes, Hakkarainen says. According to Hakkarainen, the most eager WordDive users were the freshmen, who are more used to IT and apps in learning in any case. They also gave the most positive feedback. On the other hand, the more advanced seniors on the voluntary seventh course didn’t use WordDive that much. – Some of the senior students thought the vocabulary in the app was not challenging enough. I think WordDive works best with average level students. I had students who got satisfactory or below average grades on the first and second courses, then used WordDive and got an above average grade in the third course exam, Hakkarainen states with satisfaction. Hakkarainen especially liked the fact that WordDive includes vocabulary that is a perfect fit with the themes and topics of the new high school courses. According to her, it is very important and motivating for the students that they can use WordDive to learn about the same topics that are discussed on the courses. – The topics in WordDive fit the focus areas of the new curriculum very well: art and culture, sports and environmental issues. Also, the students in the remedial classes love the app and hope that we continue using WordDive at school. Hakkarainen shares a story about a student, happy and proud of completing a WordDive course, who came to show her a printed-out course certificate. – I definitely want to continue using WordDive with my students. It is really motivating for them. Hakkarainen believes traditional textbooks might not be necessary in the future. – Online, you can use audiovisual materials, do group assignments and create great things together. Why stick to paper just for the sake of paper?